The cuisine of New Orleans, like jazz, is a native art form. The artists who make it work are the chefs of the city where food is more than just sustenance—it is a social event, a celebration of color and smell and things that taste good. 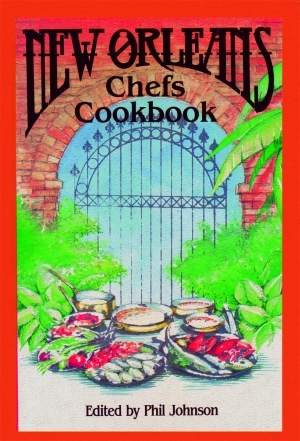 In this book, these culinary experts divulge the secrets of their trade through 550 tantalizing recipes. Paul Prudhomme, the master, tells you how to make Crawfish Etouffée; Mike Roussel of Brennan’s makes Shrimp Creole; and Warren Leruth does a Broken Shrimp Jambalaya. You can whip up a thick Gumbo Filé comparable to Austin Leslie’s (of Chez Helene). Daring chefs will want to try Alligator Sauce Piquante as Jean Luc Albin cooks it. With this collection of recipes, you can bring the elegance and sophistication of traditional New Orleans cuisine into your dining room every day. Twenty of the finest chefs in New Orleans have joined together to produce this book. It is their gift to St. Michael’s Special School in New Orleans, dedicated to the education and rehabilitation of retarded children. Each January, for the past ten years, these chefs have staged a two-day culinary extravaganza with an audience limited to one thousand each day, with all proceeds going to St. Michael’s. The recipes in the New Orleans Chefs Cookbook are the fruits of that endeavor. The man behind the Chefs Charity program is Phil Johnson, who coordinated it from the beginning. A veteran journalist who produced television documentaries around the world, Johnson served as assistant manager of WWL-TV (the CBS affiliate in New Orleans), was a former Nieman Fellow of Harvard University, and a chef of some talent. He passed away in March 2010, at the age of eighty.